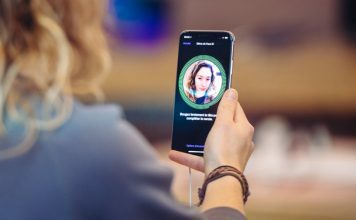 If you’ve ever owned an Apple device, you must be well-acquainted with the Apple ID login process. 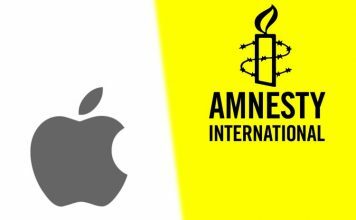 You can create an Apple ID using your third-party email account (such as Gmail or Yahoo) but it has not been possible to associate an Apple domain address to the same. 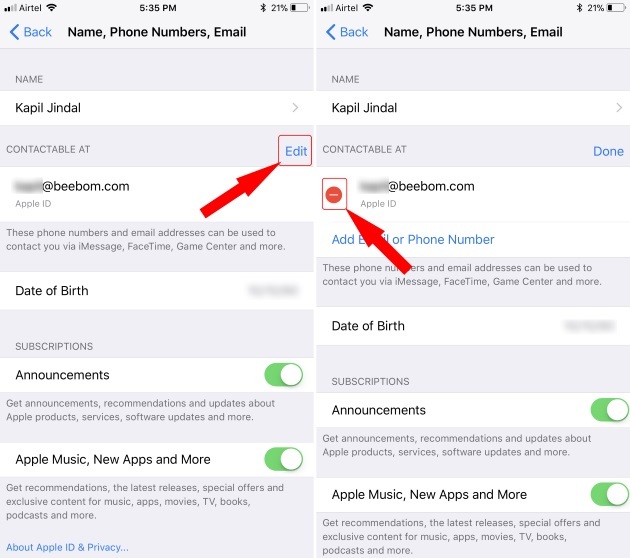 You could already switch back and forth between third-party emails but Apple has now made it possible to replace the third-party email ID with an Apple domain address. 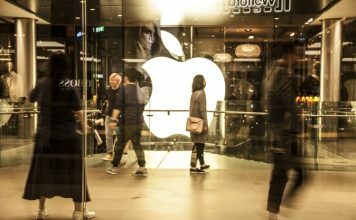 And while Apple is making it much easier to manage the Apple account, by allowing you to directly use an Apple domain address to log into your devices, there’s no turning back once you perform this procedure. The big fat disclaimer attached to the Apple ID changing process is that you won’t be able to revert back to a third-party email address if you make the switch to an Apple domain one. You’ll be stuck with it for life and if you’re ready for it, let’s do it. The Apple ID switching process is only available for Gmail and Yahoo mail accounts. Before starting the process, you should remember to have a working Apple domain account, where the e-mail addresses end with @iCloud.com, @me.com, or @mac.com. Note: I tried this method on my iPhone 8 Plus running iOS 11 and it worked just fine. You can change the Apple ID on your iOS device if it’s running iOS 10.3 or later. 1. On your iOS device, open Settings and tap on your name (displayed at the very top) to open your account settings. 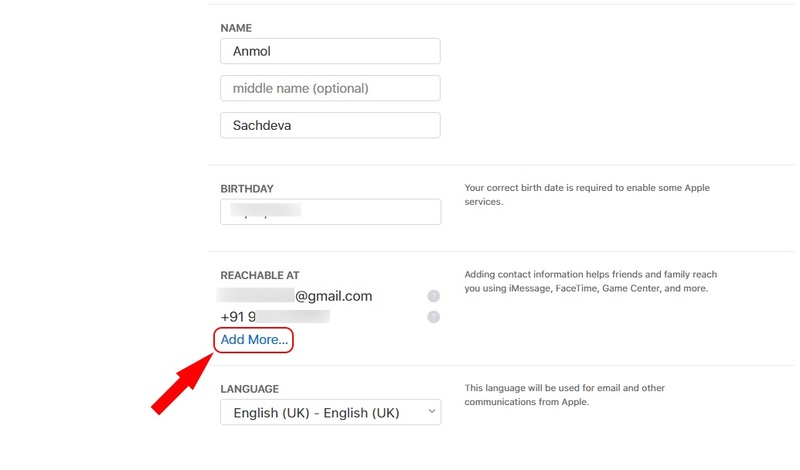 Then, tap to open the ‘Name, Phone Numbers, Email’ section. 2. Here, tap on the ‘Edit’ button that’s next to ‘Contactable At’ and remove your current third-party email ID by tapping on the red ‘minus’ button. 3. You’ll now be prompted to add a new email address, that’ll be used as the Apple ID, to the account before you try to remove the current one. So, tap on ‘Continue’ to add your Apple domain address to your Apple ID. 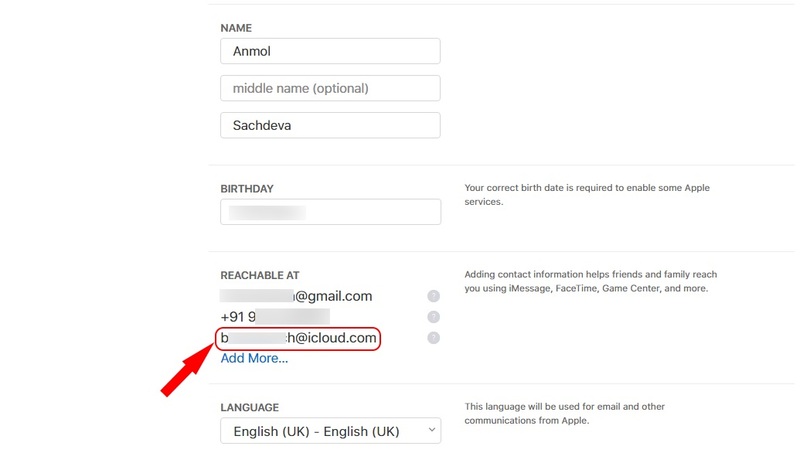 Note: This method will not work with Apple ID accounts, which don’t have iCloud mail account linked to it. The said screen will then display an error saying that @icloud.com is not a valid e-mail address. 4. 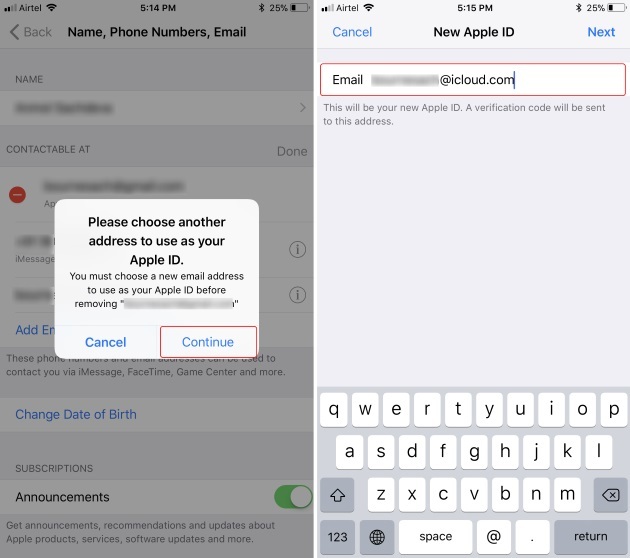 Once you’ve input your Apple domain address, hit ‘Next’ to then enter a verification number received on the said email address to change your Apple ID from a third-party email to an Apple domain one. And voila, you’re done! As you just read above, the process to change your Apple ID is dead simple and does not need much work. 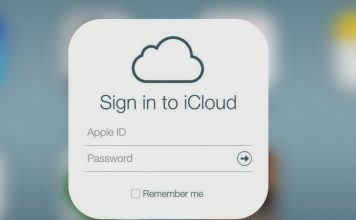 However, you cannot change your Apple ID from the currently used email ID to an Apple domain account if you’re setting up iCloud Mail right now as well. 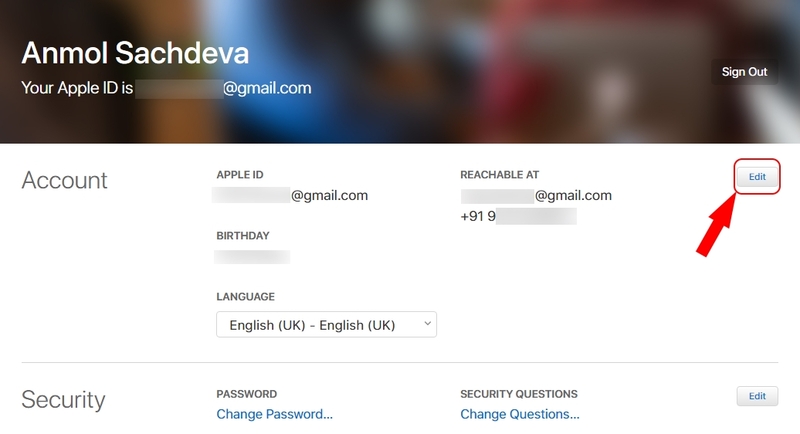 I tried to change the Apple ID on my personal account but the creation of a new iCloud Mail address account automatically added the same to the ‘Reachable At’ section, as an alias. 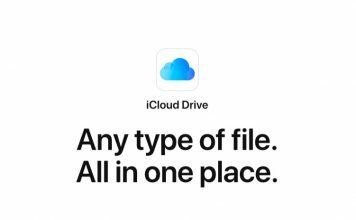 Thus, it eliminates the need for the Apple ID change process and permits you to use either your third-party email or the iCloud address to log into your account. 1. 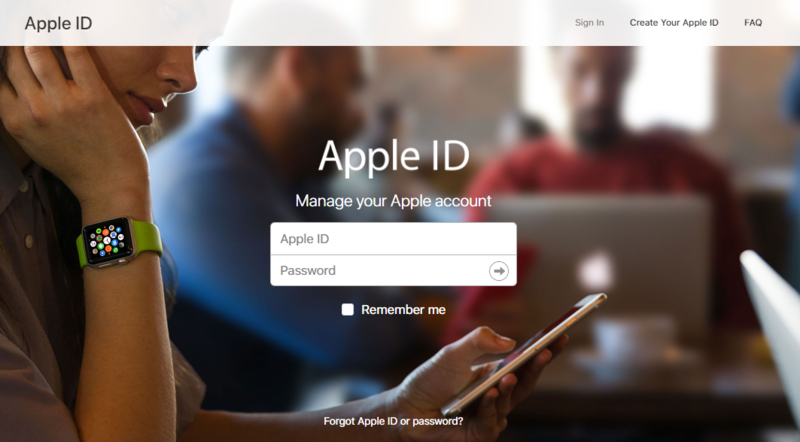 Navigate to appleid.apple.com and sign in to your Apple account. You’ll be asked to verify your identity by answering two of your security questions that you picked when you set up the account for the first time. 2. In the accounts section, you need to click the “Edit” button next to the ‘Reachable At’ section. 3. Now, under the Apple ID section, click on ‘Add More…’ and enter the Apple domain address you now plan on using as your new login ID. 4. Finally, you’ll need to click on “Continue” to see your Apple ID change if you have entered a valid @iCloud.com, @me.com or @mac.com email address. If you’ve been troubled with logging in to your Apple devices with a Gmail or Yahoo email address, you can now stay merge your data to Apple’s ecosystem by logging in with your Apple domain address. 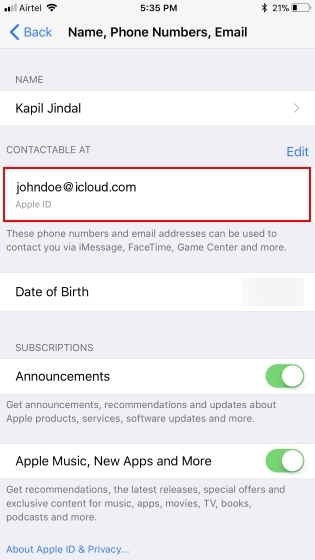 The previously associated third-party email address now becomes an additional email address for your Apple account. 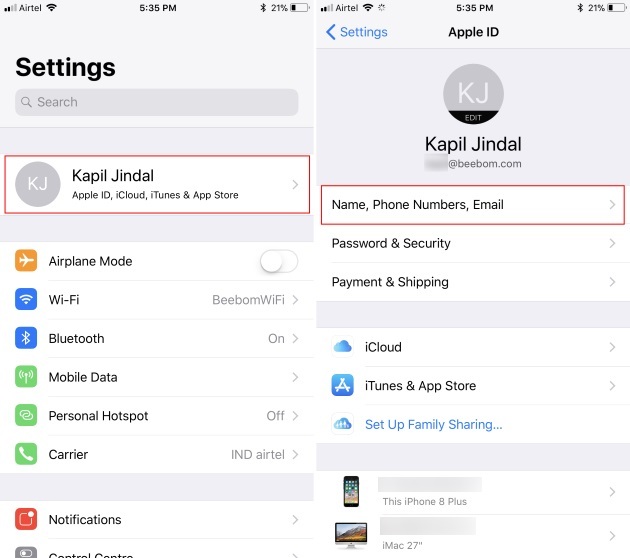 This means you can still log into your Apple account with the third-party email address but all account-related communication would be sent to the iCloud Mail account. If you have any queries regarding the switching process, let us know in the comments section below.